Three Modernist masters have floated into the watery Minnesota Marine Art Museum in Winona. American painter Edward Hopper’s “Sultry Day” (1928), French artist Henri de Toulouse-Lautrec’s “The Child with the Dog, son of Madame Marthe and the dog Pamela-Taussat” (1900) and Italian-born, American Futurist painter Joseph Stella’s “Study of the Brooklyn Bridge” (1922) are now a part of the collection. The museum declined to comment on the valuation of the works, since this is information that the collecting partners Mary Burrichter and her husband, Bob Kierlin, also owner of Winona-based hardware-supply company Fastenal (valued at $15 billion), keep to themselves. The Toulouse-Lautrec was purchased from Christie’s auction house. This French artist’s work fetches very high prices at auction. His painting “Au lit: Le baiser,” which portrays a couple in bed, went for $12,485,000, according to christies.com. The Hopper and Stella paintings were acquired from private collections. Toulousse-Lautrec, a Frenchman who died in 1901 at the young age of 36, is best known for his paintings of the life and times of the rich 19th century Parisian theatrical world, replete with prostitutes, clowns and many other colorful figures. 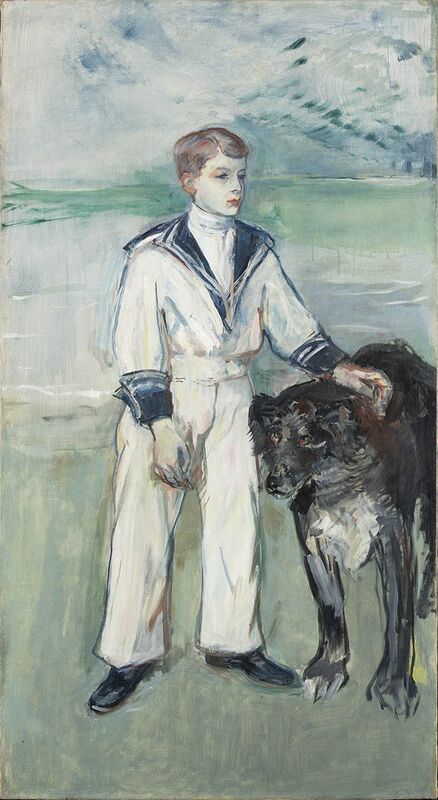 The Toulousse-Lautrec purchased by the museum, which is more subdued and portrays a boy and his dog in front of a lake, becomes a part of the museum’s Impressionist and post-Impressionist collections. Edward Hopper is an American realist painter best known for his portrayals of modern American life, such as the iconic nighttime scene of an almost-empty downtown diner in the 1942 painting “Nighthawks.” The Hopper work acquired by MMAM is not urban at all, instead portraying a seaside town that overlooks a bay (filled with water, obviously). 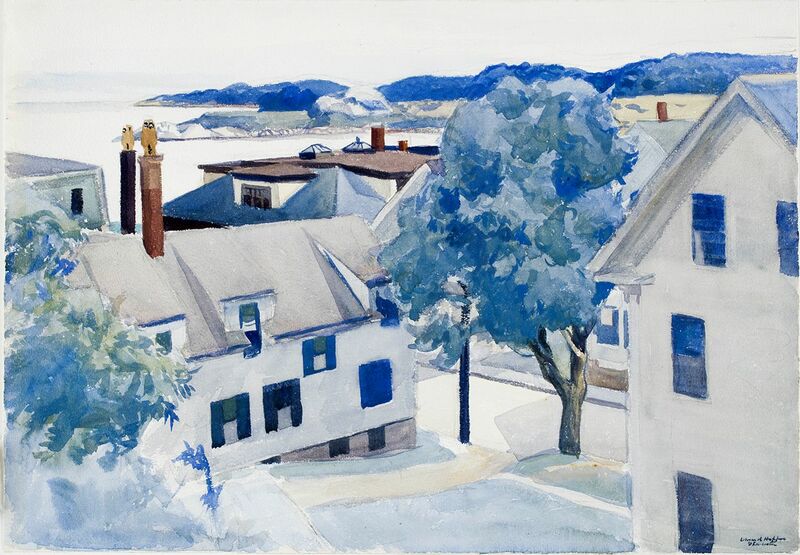 “I am particularly excited about the Edward Hopper piece because I see Hopper as an iconic American artist and I view Winona as an iconic American town,” MMAM Executive Director Nicole Chamberlain-Dupree said in a press statement. 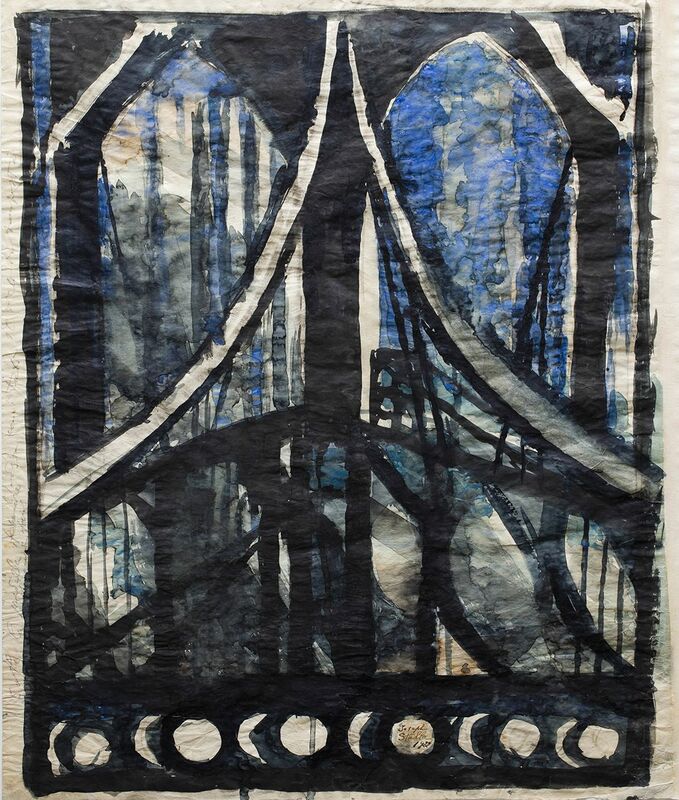 The Joseph Stella piece will be part of a fall 2018 exhibition entitled “This is New York.” Stella is well known for his depictions of an evolving industrial America, particularly those of the Brooklyn Bridge. This is not the first acquisition of iconic American artworks by the Minnesota Marine Art Museum. In 2015, the museum’s collecting partners Burrichter and Kierlin, who were also involved in the founding of the museum, purchased the 1851 painting “Washington Crossing the Delaware.” It is one of two authentic surviving versions, and had for the past 35 years previously been on loan to the White House. The other one is at the Metropolitan Museum of Art in New York. Winona, Minnesota, a city of about 27,000 people, in the southeastern tip of Minnesota, is located right on the Mississippi River. Railroad and steamboat industries helped put Winona on the map as a city. Before non-Natives arrived in 1851, Winona was originally named Keoxa, and was home to a Mdewakanton band of eastern Sioux. Winona is the most tropical place in Minnesota, recording the warmest temps of anywhere in the state. Take that, “it sometimes snows in April”!